Cotton prices continue the wild swings through a measly 200 points – still trapped in the 73-75 cent range and still going almost nowhere until there appears to be a realistic break in the U.S.-China trade tiff. Rumors persist that a soybean agreement is in the works, but nothing on cotton. Many feel cotton does not have a supporter in the talks, but one would think any agreement on soybeans would also include all row crops. Thus, prices are still supported in the 72 cent area, but price resistance at 75 cents appears to be killing all the hopes of the bulls. 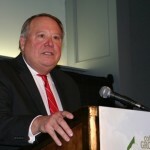 USDA will not catch up with its data releases until February 22. Until then, accurate data will be hard to come by. Export sales are being made, but the market will have to wait to get documentation until that February 22 date. However, the February 8 release of the WASDE by USDA will hopefully include up-to-date information on U.S. exports, Chinese consumption, Indian production and imports, Pakistani imports, and world consumption. Smaller crops are also likely in Argentina and Australia. Nevertheless, the bulls should not expect any news that would push the market to higher ground, unless USDA drops the Indian crop as much as 2 million bales. Thus, the tight two-cent range will likely prevail at least through most of February. It is likely the U.S. sold more than a million bales during the time frame of the government shutdown – even as much as 1.25 million bales. The heavily-discounted low quality and high micronaire cottons have been very popular with mills. Primary buyers are believed to have been Vietnam, Pakistan, Turkey and India. Other Southeast Asian countries, as would be expected, have also left tracks in the market. Hopefully, sales to Turkey were made, as historically that country was a major buyer of U.S. types. The lack of sales to Turkey during the current season have been associated with the Turkish financial crisis and not the U.S.-China trade battle. The trade battle has, without question, stymied U.S. sales to China, as cancellations continue to be significant. China has even implied it will not even honor its WTO commitment to purchase U.S. cotton. Again, as mentioned last week, the slowdown in buying by both Turkey and China has limited world demand for U.S. cotton. 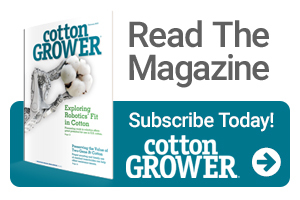 Others have picked up on our idea that the trade battle will likely limit the demand for U.S. cotton in the long run, as China is working overtime in its attempt to develop other sourcing alternatives. The primary benefactor this year – and even in the long run – will be Brazil. Further, the very troubled Chinese economy is seeing China lose world market share in the apparel and textile goods sector. For many goods, China is no longer the low cost provider and other countries have begun to develop their apparel supply chain industry. Chinese investors continue to dominate the industry, as they are the primary source of capital investment for the apparel industry in other countries. Thus, in the very long run, the U.S. will be in position to provide cotton to those countries. Simply for now, the government-owned Chinese Cotton Reserve is purposely not buying any U.S. cotton. As mentioned, USDA will release its February world supply demand estimates on February 8. The following day, the National Cotton Council will release its annual cotton planting intentions report. Historically, that survey has been very accurate. Expect the market to remain flat, barring a USDA surprise in its estimate of Indian production and imports/exports.